The traditional cross procession from the Church on the Blood to the Monastery of the Holy Royal Martyrs in Ekaterinburg will take place on the night of July 16-17, along the path on which the remains of the murdered members of the royal family were carried. 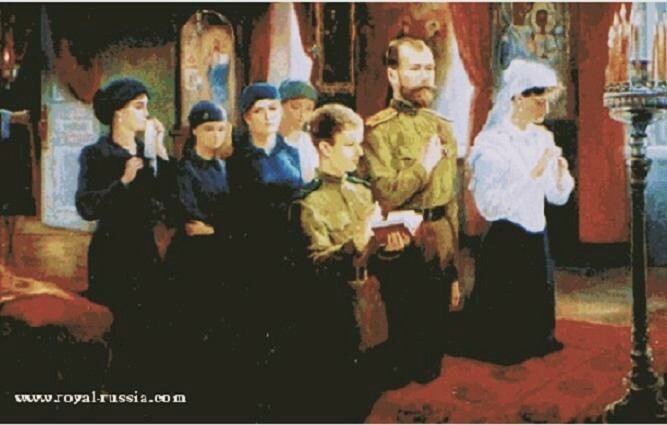 Traditionally, for already a quarter of a century pilgrims travel to Ekaterinburg from all over the world to participate in the cross procession on the night of the murder of the Romanov family. In 2014 on the day of the 400th anniversary of the accession of the House of Romanov, 100,000 faithful from Russia, the USA, Great Britain, China, Moldova, Ukraine, and other countries walked in the prayerful procession from the Ekaterinburg Church on the Blood to the Monastery of the Royal Martyrs in Ganina Yama (Ganin “Pit”). In 2015 representatives of the Japanese delegation of the Satsuma region, whose ancestors were received as guests at the end of the nineteenth century by the future emperor Nikolai II, also took part in the cross procession. The Japanese fulfilled the promise given to the Satsuma tsarevich-prince, personally arriving to honor the memory of the emperor. Various Russian cities annually hold events commemorating the tragedy that took place in Ekaterinburg in July 1918. These days, styled “Royal,” offer visitors to the Ural capital a broad cultural-educational program. The key event of the Royal Days in the Ekaterinburg diocese has become the cross procession on the night of July 16-17 from the Church on the Blood (where the royal family was shot) to the Monastery of the Holy Royal Martyrs in Ganina Yama (where the bodies of the royal family and friends were burned). The All-Night Vigil and nighttime Divine Liturgy will be served under the open sky on a specially built platform on the square in front of the Church and on the closed-off sections of Tsarskaya Street. An altar will be erected on the porch of the Church on the Blood, with large video screens, a powerful sound system and spotlights installed. Thousands will be able to take part in the Divine services on this night, confessing and communing of the holy Mysteries of Christ. 3:00 PM Small Vespers with the Akathist to the Holy Royal Martyrs. Confession. Church on the Blood. 11:30 PM-2:00 AM Divine Liturgy. Church on the Blood. 2:30 AM Traditional cross procession from the memorial Church on the Blood to the Monastery in the name of the Holy Royal Martyrs in Ganina Yama. Upon arrival of the procession—Moleben to the Holy Royal Martyrs. Open-air meal. 6:00 AM Divine Liturgy. Church on the Blood (lower church, altar on the spot of the martyric death of the Holy Royal Martyrs). 9:00 AM Divine Liturgy. Church on the Blood (upper church). 9:00 AM Divine Liturgy. Monastery of the Holy Royal Martyrs in Ganina Yama. 5:00 PM All-Night Vigil. 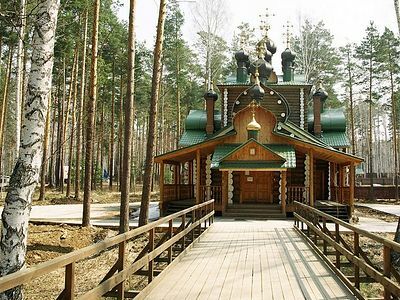 Church of Venerable Sergius of Radonezh at the Monastery of the Holy Royal Martyrs in Ganina Yama. The first-known cross procession on this path took place in the beginning of the 1990’s, with several dozens of people participating. In 2000 the penitential procession gathered about 300 people. The first diocesan cross procession, headed by the ruling bishop, took place in 2002, with 2-3,000 pilgrims and about 100 clergy taking part. As the space inside the church was filled with scaffolding, the services took place on the square in front of the church. The main cultural-educational events of the festival “Royal Days” occurred July 19-21, although in previous years they had begun in the first half of the month, continuing until the end of the month. In 2003, 2005, and 2010 the procession specifically went along the historical path on which the bodies of the Royal Martyrs were carried to the place of their disposal. The number of worshipers gathering at the nighttime Divine Liturgy at the Church on the Blood and for the cross procession has grown every year, reaching 50,000 people at the end of the first decade of the twenty-first century. In 2012, for the first time since the construction of the Church on the Blood, the All-Night Vigil and Liturgy were celebrated outdoors, as they had been before the construction of the church. A portable tent altar was erected on the porch of the church with large video monitors, a large mounted sound system, spotlights, and large icons erected. 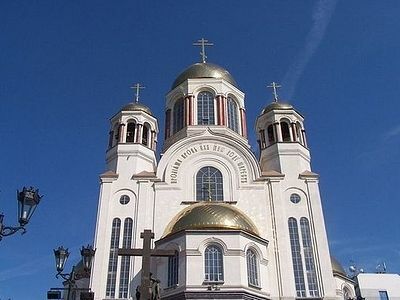 The center for the services on July 16-17 is the memorial Church on the Blood in honor of All Saints of the Russian Church, erected on the site of the murder of the Royal Martyrs, and the male monastery of the Holy Royal Martyrs in Ganina Yama, built on the spot of the disposal of their holy bodies. A cross procession from the site where the last Russian emperor's family was murdered to the place where their bodies were destroyed took place in the Sverdlovsk Region on the night of July 17.